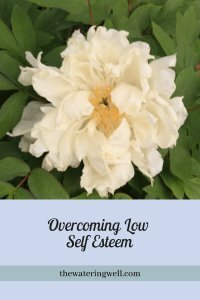 Low self-esteem was my companion for most of my life. I loathed doing self-evaluation questionnaires. There was always that dreaded question in an interview: what are your strengths? I honestly could never think of any. If something did come to mind, I would put the thought out of my head immediately, thinking it would be perceived as vain or inadequate. Every time I ever did an assessment of sorts, lack of self-esteem always came up. As a result, I owned the label. I saw it as a weakness I had to live with and never considered that perhaps I could overcome it. Def: Self-esteem is the value a person gives to their worth, competence and significance. It is based on our self-evaluation and subsequent beliefs about ourselves; self-image is how we describe ourselves. 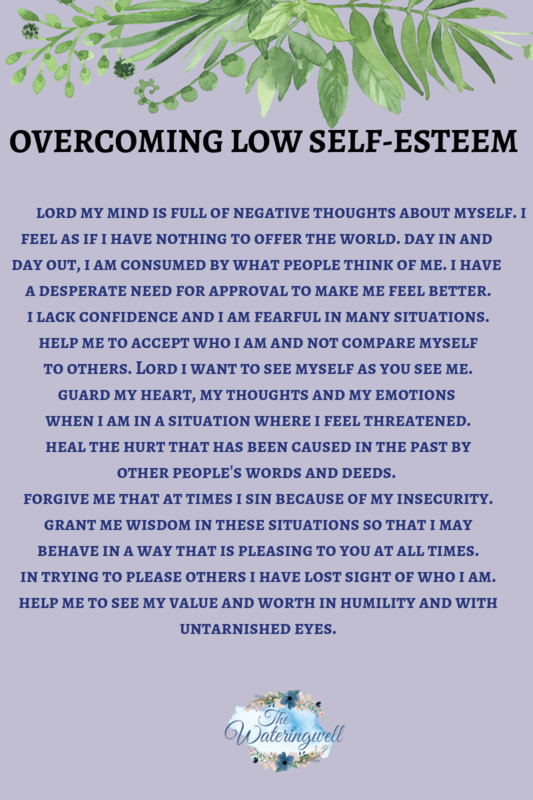 Self-esteem can be used interchangeably and in connection with other words such as self-love, self-respect, self-image and self-concept. More recently it is being replaced by the word self-acceptance, which is thought to be more appropriate. I tend to agree. Self-esteem typically has a negative connotation. The basis for how we perceive ourselves is primarily formed in the early childhood development years. This is why the child-parent/carer relationship is so crucial. We have a need to feel worthy and accepted, especially by those closest to us. Children need love and affirmation above all else. Unfortunately, even hard-working, well-meaning parents can get it wrong, never mind the dysfunctional parent-child relationships. As a result, we sit with millions of people the world over who have a negative perception of their self-worth. If our needs for love and affection have not have been met, we risk growing into teenagers and adults with a poor self-image. When I first started counseling, I was amazed by how many of the issues I dealt with, originated in childhood. We are not born with a poor self-image, it is a learned belief. Some children may be quiet and considered introvert but this is not the same as low self-esteem. Later on in life, people who lack confidence may be quiet and introvert, but this does not mean that all introverts have a low self-esteem. It is important to differentiate and know where you fit in. An abnormally negative opinion of ourselves results in what is considered poor self-esteem. The person puts themselves down frequently. Avoid doing things because they believe they will fail or disappoint. They believe other people don’t want them around. Compare themselves to others all the time. Unable to accept compliments and love. Complaining, argumentative, intolerant, hypersensitive and unforgiving. It is no wonder then, that people with a low self-esteem are often very unhappy and stressed out. In a connected world of high expectations, materialism and image, it is becoming ever more common to compare ourselves to others and feel we are lacking. When you consider the consequences, it is possibly one of the biggest threats facing our world today. The need to meet other people’s expectations in order to be loved and accepted. I deserve to be shamed and punished if I don’t achieve my goals and expectations. Work pressure. People with low self-esteem are more likely to throw themselves into work in order to be successful, thinking that will give them recognition, influence and confidence. Self-esteem doesn’t necessarily directly affect work stress, although it could if you are in the wrong job and not coping. Robert Schuller says “The need for self-esteem is the greatest need facing the human race today”. I wouldn’t totally agree with these words, but I do think that poor self-esteem is probably the greatest threat to achieving our God-given potential. For me, the saddest consequence is that people with a low self-esteem, fail to follow their dreams and the plan God has for them, failing to reach their true potential. Having a positive self-image with a healthy self-esteem is obviously the opposite of low self-esteem. However, this can also have a negative meaning as it is often perceived as vanity, pride and arrogance. Ironically, these character traits are more often consequences of a poor self-image than a healthy one. What does pride look like? An unhealthy need to seek others approval. Disregard of others opinions and feelings. The Bible is without a doubt the safest place to turn to when we want to seek our true identity. It is not tainted by human perspective and opinion. The first step on the road to self-acceptance is knowing who you are in Christ. We are created in God’s image and our value should be firmly planted in God, from whom we get true love and affirmation. 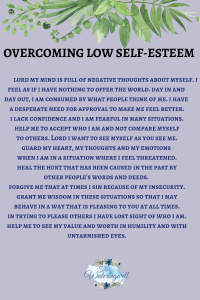 Self-esteem can be a difficult subject amongst Christians because we are told to humble ourselves. For many, this means self-sacrifice and putting themselves down. This is not what the Bible means. When the Religious leaders asked Jesus which was the greatest commandment in the law, He said: “Love the Lord your God with all your heart and with all your soul and with all your mind. And the second is like it: Love your neighbor as yourself.” (Matthew 23:37-39) We have to love ourselves first otherwise, how can you love others? God is relational and He commands us to have fellowship with one another. This is difficult if we are insecure and lacking in confidence, believing we are unworthy. We won’t be able to fulfill our purpose and that is very important to God. A biblical view of self-love is the basis for self-acceptance. We may accept that we are weak and imperfect without wearing it as a label, but also not to think too highly of ourselves. We need a realistic balance between accepting our own sin, failures and imperfections while acknowledging our gifts, abilities and achievements too. So it seems that in order to have harmony in our lives, we need to aim for a healthy self-acceptance through knowing who we are, warts and all. It may be a lengthy road, but one well worth embarking on. We have to accept we are not perfect, but we do not have to believe we are less worthy than anybody else. Understanding our personality type is a good place to start. 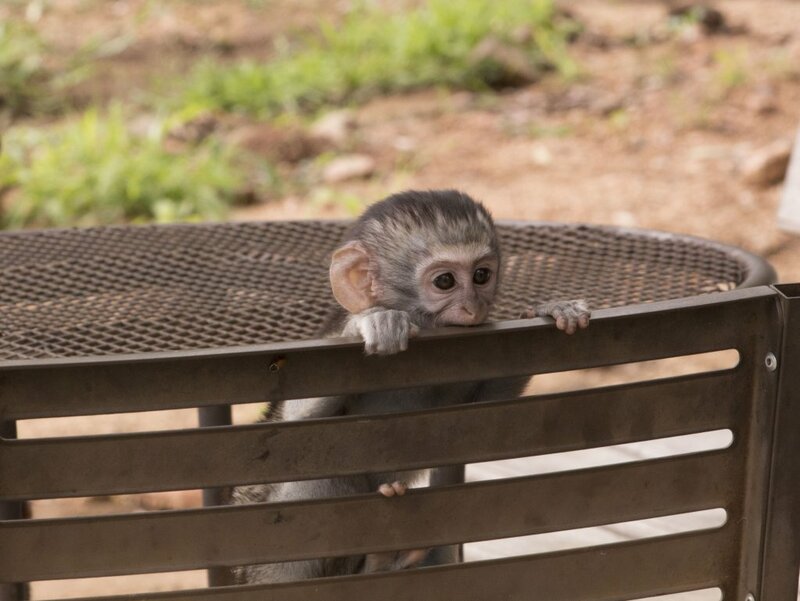 We all think and behave differently and that is ok. God made us unique. Recognize your own self-worth. Know the value you bring to other people and situations. We all have something to contribute. A certain amount of inadequacy is not a bad thing, it may kick us into action at times. Don’t feel that every insecurity is a failure. Self-esteem issues may be specific to certain areas of your life only, like work or relationships. Identify the cause and find solutions to overcome them. Try to understand why you think and believe as you do. Once you understand that, you can work at reconditioning your thinking. You can show love when you know you deserve love. Knowing that being humble is not a sign of weakness, it is a show of self-confidence, a healthy self-esteem and genuine God-courage. Being at peace with yourself means less frustration and less stress. I would hesitate to say it will guarantee happiness but it is definitely a contributing factor. There appears to be a correlation between good self-esteem and success. I’m not sure what comes first, but with confidence, you are more likely to take on bigger roles and new challenges because you believe in your ability. Become less reliant on the opinion and approval of others. It is important to recognize poor self-esteem in other people too. They are often difficult to get along with and yet could do with the support and encouragement of others, especially in a work situation. We don’t always need to pull others down in order to lift ourselves up. Taking a realistic look at ourselves is the first step on the way to self-acceptance. We will delve into this further in another topic. For now, you can start by making 2 lists: (1) 10 of my Strengths (2) 10 of my Weaknesses. Bruce Narramore, You are someone special (Grand Rapids, Mich.: Zonder-van, 1978), 29.